Obituary – Bartlett, Glenda Sue (Bay) « Perry High School Alumni Association, Inc.
Spanish Assembly ’61-’62; Assembly ’61-’62; Speech Assembly ’62-’63; Band ’61-’64; Band Ensemble ’61-’62; Band Queen Attendant ’63-’64; Annual Editor ’63-’64; Annual Queen Attendant ’61-’62; F.T.A. ’61-’64; F.T.A. Sec. ’62-’63; F.T.A. Treas. ’63-’64; Jr. Play ’62-’63; Christmas Vespers ’62-’63; All-School Revue ’61-’62. ﻿Glenda married her husband, Richard Bartlett, in 1966. They started dating in 1959 in Perry, Oklahoma. Their first date was a Christmas Holiday Formal Band Dance when Glenda was 13 and Rich was 14. They were teenage sweethearts. They celebrated their 41st wedding anniversary on September 10, 2007. She was born December 15,1946 in Perry and passed from this life on February 17, 2008. Memorial services are pending. The family is at the home at 27 Warford Terrace, Orinda, CA 9463. Surviviors include sons: Evan Bartlett, Moraga, California, and Daniel Bartlett and wife, Tara, Orinda, Califoria; sisters, Bobbe Keddington, Bartlesville, Oklahoma and Patty Strothman, Wichita, Kansas; brothers-in-law, Bill Bartlett and wife, Jan, Houston, Texas, and Gary Bartlett and wife, Carolyn, Medford, Oregon; and sister-in-law, Judy Bartlett, Oklahoma City, Oklahoma; and numerous nieces and nephews, and grandnieces and grandnephews. She was preceded in death by her parents, Glenn and Dollie Bay, and father- and mother-in-law, Earl and Juanita Bartlett, and brother-in-law, Phillip Bartlett. 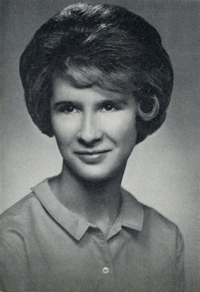 Glenda was a 1964 graduate of Perry High School in Perry, Oklahoma, and attended Oklahoma State University. She worked as a secretary for six years for the President of Ditch Witch®, a locally-owned business in Perry. She and Rich moved to California in 1970 and lived in Oakland and Walnut Creek before moving to Orinda in 1977. She worked as a secretary at Kaiser Cement & Gypsum, Kaiser Aluminum & Chemicals in Oakland for 13 years. She worked various jobs in Orinda including part-time bookkeeper at Glorietta School for 10 years. Since 1990, she was also office manager for Rich Bartlett, Architect. Glenda enjoyed volunteering as cub scout leader for her sons. She was member of Orinda Baseball Association, chaired several Meadow Swim Team committees including Mini Meet, board member of Glorietta Parents Club for eight years, Orinda Intermediate School Parent Club for four years, Miramonte Sports Boosters for three years, and volunteered at the Miramonte Career Center for four years. She was also a member of the Orinda Woman’s Club where she enjoyed attending monthly book club meetings and volunteer projects. Memorial donations in her name can be made to Orinda Woman’s Club, Scholarship Fund, P.O. Box 533, Orinda, CA 94563.